Edu­ca­tion has so far avoid­ed the kind of major dis­rup­tions we have seen in the media and pub­lish­ing busi­ness­es — or the music and trav­el indus­tries (to name just a few). Why? Sim­ple, iner­tia. In sec­ondary edu­ca­tion (K-12 in the US) it has been the teacher’s unions that have kept change out; while at the uni­ver­si­ty, the unques­tion­able “free­dom” afford­ed to tenured fac­ul­ty has pre­served the sta­tus quo. As a result, the art of excel­lent teach­ing is not always val­ued, or even recog­nised. Accord­ing to a report from the President’s Coun­cil of Eco­nom­ic Advis­ers, glob­al spend­ing on edu­ca­tion is $3.9 tril­lion, or 5.6% of plan­e­tary GDP. Amer­i­ca spends the most — about $1.3 tril­lion a year — yet the U.S. ranks 25th out of the 34 OECD coun­tries in math­e­mat­ics, 17th in sci­ence and 14th in read­ing. And, as in so many oth­er areas of Amer­i­can life, those aver­ages obscure a deep­er divide: The U.S. is the only devel­oped coun­try to have high pro­por­tions of both top and bot­tom per­form­ers. About a fifth of Amer­i­can 15-year-olds do not have basic com­pe­tence in sci­ence; 23% can’t use math in dai­ly life. Over the past two years Khan Acad­e­my videos have been viewed more than 200 mil­lion times. The site is used by 6 mil­lion unique stu­dents each month (about 45 mil­lion total over the last 12 months), who have col­lec­tive­ly solved more than 750 mil­lion prob­lems (about 2 mil­lion a day), and the mate­r­i­al, which is pro­vid­ed at no cost, is (for­mal­ly or infor­mal­ly) part of the cur­ricu­lum in 20,000 class­rooms around the world. Vol­un­teers have trans­lat­ed Khan’s videos into 24 dif­fer­ent lan­guages, includ­ing Urdu, Swahili and Chi­nese. What cap­ti­vat­ed me about Sal Khan more than any­thing else was his moti­va­tion. One does not sense it’s about mak­ing mon­ey (although that could hap­pen). Instead, Khan’s intrin­sic moti­va­tion is to change the fun­da­men­tal char­ac­ter of how peo­ple learn. World­wide. That may be why he per­son­al­ly cre­at­ed more than 3,000 of the videos. 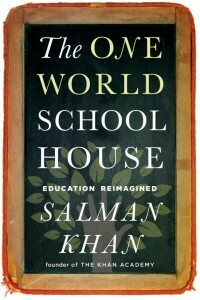 He also wrote about a book about what it took to cre­ate his One World School­house (Hod­der, 2012). Nextsens­ing peo­ple, as I see it, are drawn to big prob­lems. Whether it’s about chang­ing organ­i­sa­tions, com­pa­nies, indus­tries or pro­fes­sions, their dis­com­fort about not hav­ing a per­fect­ly formed solu­tion to cur­rent prob­lems is bal­anced by leaps of faith, exper­i­ments, dis­cov­er­ies and con­stant iter­a­tions to find the “secrete sauce” for what’s next. 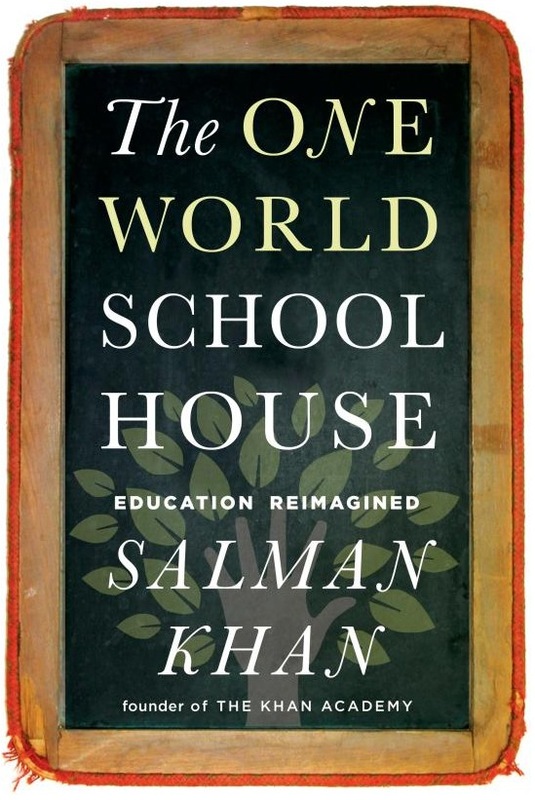 Study Khan’s approach to chang­ing edu­ca­tion, and you will undoubt­ed­ly learn some things about how to find your own next.